Have a question for Shanghai 8 Art Hotel? 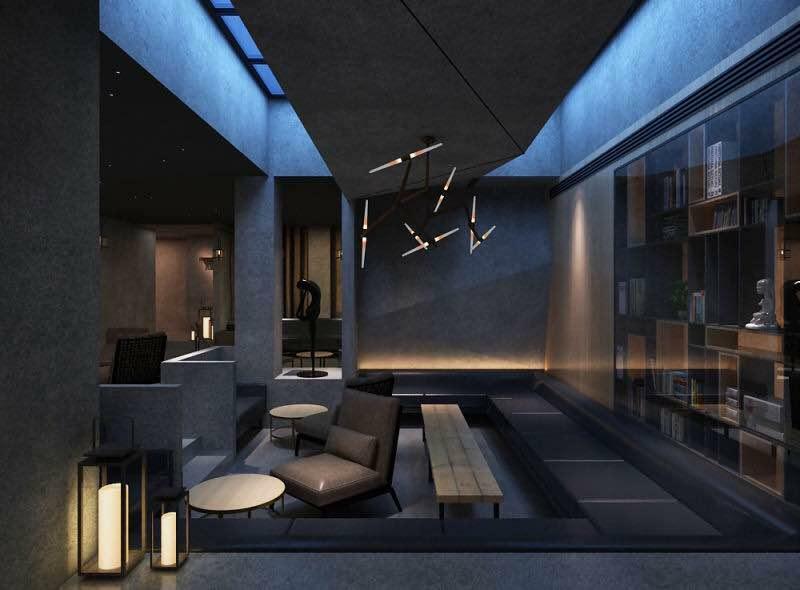 Designed for both business and leisure travel, Shanghai 8 Art Hotel is ideally situated in The Bund and North Bund; one of the city's most popular locales. Situated only 0. Km from the city center, guests are well located to enjoy the town's attractions and activities. 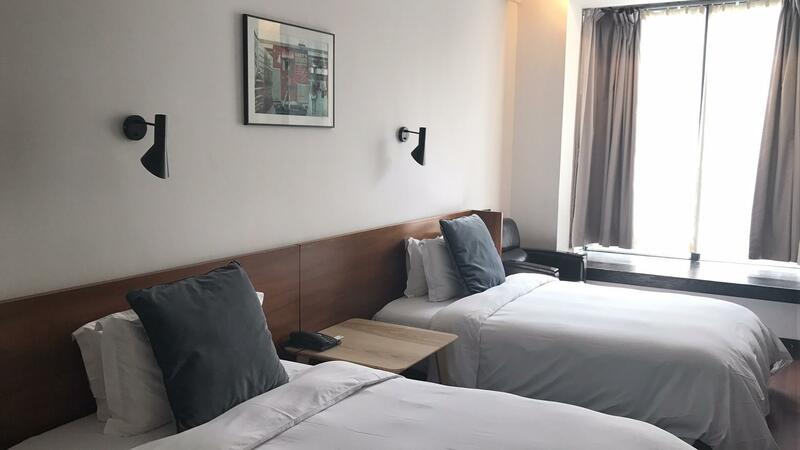 This modern hotel is in the vicinity of popular city attractions such as Shanghai Asian Building, Banque de l'Indochine Building (29, The Bund), Shanghai Bund Weather Signal Station. 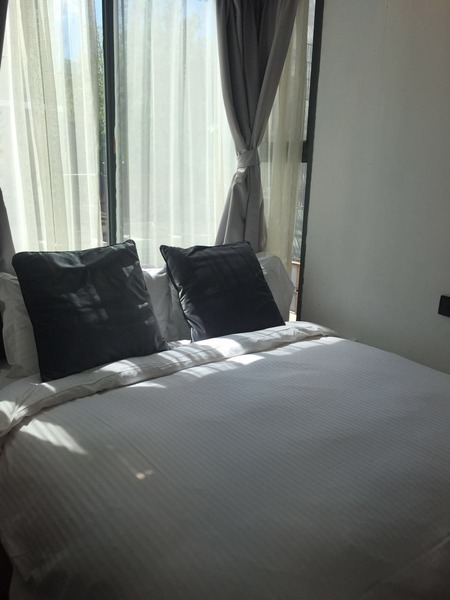 Offering hotel guests superior services and a broad range of amenities, Shanghai 8 Art Hotel is committed to ensuring that your stay is as comfortable as possible. The hotel provides 24-hour room service, free Wi-Fi in all rooms, 24-hour front desk, facilities for disabled guests, express check-in/check-out to ensure our guests the greatest comfort. 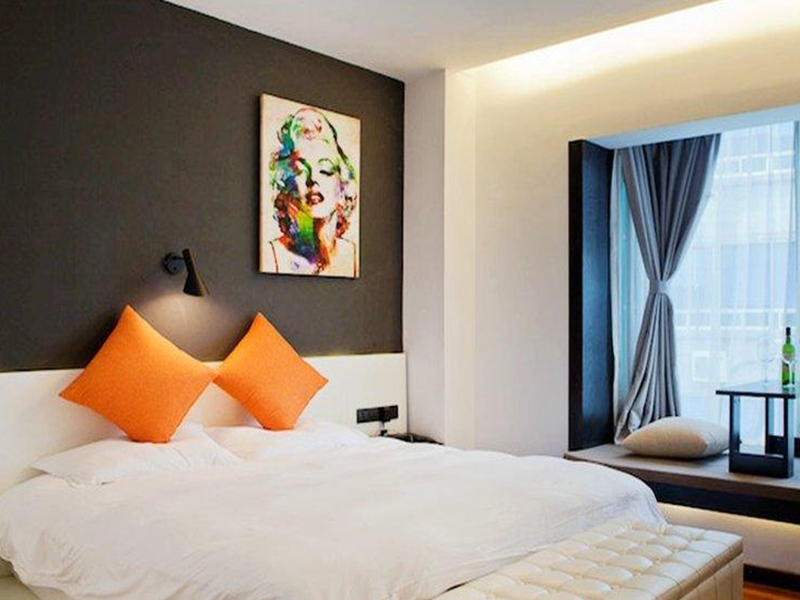 The ambiance of Shanghai 8 Art Hotel is reflected in every guestroom. television LCD/plasma screen, internet access – wireless, internet access – wireless (complimentary), air conditioning, wake-up service are just some of the facilities that can be found throughout the property. Besides, the hotel's host of recreational offerings ensures you have plenty to do during your stay. 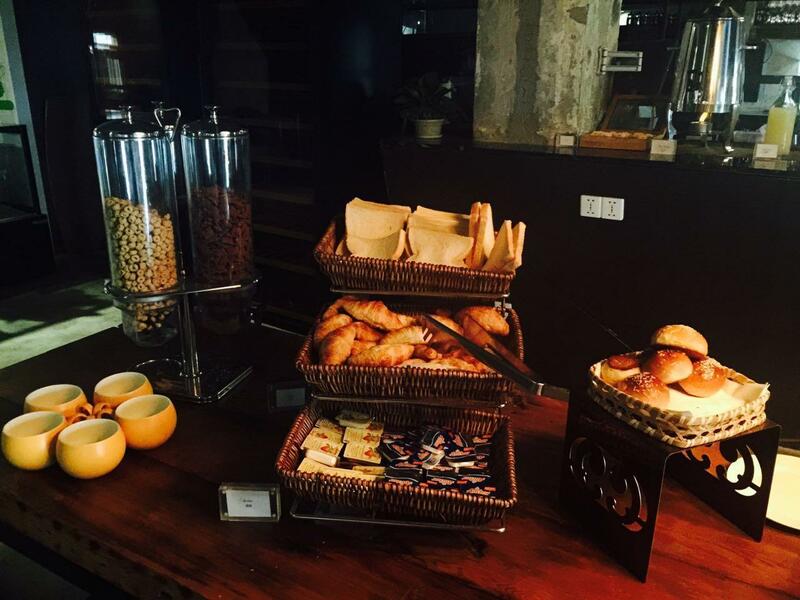 Superb facilities and an excellent location make the Shanghai 8 Art Hotel the perfect base from which to enjoy your stay in Shanghai. The hotel accepts the following credit cards: Visa, Master, American Express. 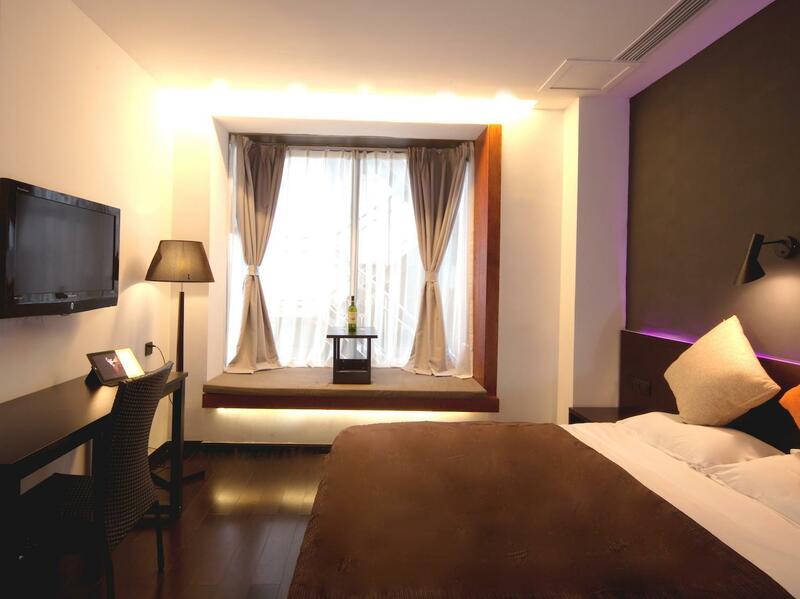 The hotel is walking distance to The Bund and Yu Garden. The nearest train station is the Yu Garden station. Take line 10 and then go down to the Yu Garden station, exit 2. There are shops at the Yu Garden that sell local stuff for gifts for friends back home. And they are only 5RMB, scarves for 10RMB. You should know how to haggle otherwise they will rip you off. There are a lot of restaurants near the hotel, most of them serve noodles. Some malls are walking distance also. Careful when you take the taxi. Especially the ones that are stationed near the hotel. We rode the taxi with plate number DX2705, white VW. We paid around 75RMB from the hotel to station 2, West Nanjing station (line 2, train going to the airport). The driver was rude and arrogant. If you are arriving at night (last train from Pudong airport to the city if I remember it right is 9:30 p.m.), you could book a shuttle bus through klook.com We paid around $17 for two persons. This artistic themed hotek is situated at the Bund, it is walking distance to YuGarden, the bund and Subway station, it has the best of everything. Highly recommended for anyone looking for reasonably priced hotel with good location. The hotel was ok, in a good area, close to The Bund. When I went breakfast in the morning I was the first person and none of the staff even said hello, no one seems happy who works there. The hotel is very dark also and maybe this is to hide the cracks in walls etc. Breakfast is ok for 3 star hotel. 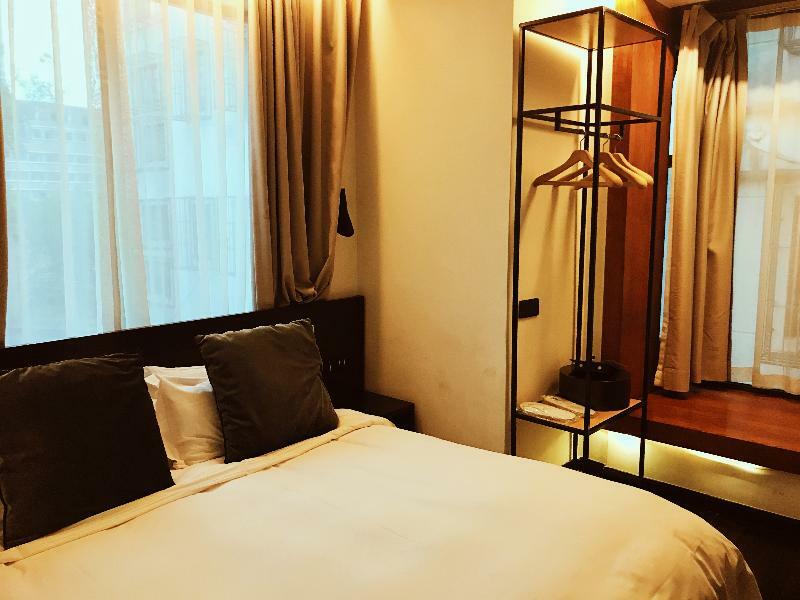 If you are looking for a cheap empty hotel just for a stay at The Bund Shanghai, go for it. It doesn't seems to value your money especially the dirty toilet, no noise insulation in rooms that you can hear the TV on the next door. Floors are not clean that I have to talk to the housekeeper otherwise they will just sit there and spend their time on the mobile phone. Staff are not helpful, it feels like we are ignored when questions are asked. We asked for a location to a restaurant the receptionist just point us to a direction without telling us in detail how to walk / method of travel to the destination. Awful! I'm sorry to give you so bad impression. Maybe you have a misunderstanding with the Housekeeper use mobile phone, our hotel use moblie as Quikoffice,they use mobile phones to check room status and tasks, and about the cleaning ,we will pay attention to it, and seriously find and analyze the reasons,active serious rectification and reform.THANK YOU FOR THE COMMENTS. The location is not very convenient and it takes about 15mins to the subway station on feet... I don’t really recommend if you carry a lot of luggages unless 2 standard size bags are fine. Bathroom is poor and when I shower floor drain with standing water “fishing”, constantly having the water reach my feet. But the staff are helpful and kindness. Sorry for the uncomfortable, we will fix the problem immediately. First of all the location is great! The hotel is next to the Bund with it's great view! There are some nice restaurants and bars around (but mostly high priced) and a Taxi stop directly infront. But that was about it. The rooms look nice from the outside but you shouldn't look closer. The bathroom is okay but rustic and needs refurbishment. There is a showercurtain which I always dislike. The rooms face the outside towards inner courtyards (loud airconditioning and neighbors) or to the inside (loud because you hear everyone and everything happening in the rest of the hotel). Two of my colleagues needed to change rooms due to cockroaches and bad smell and had to pay more because there were only bigger rooms available. The receptionists only spoke really poor english and communication was a hassle. the breakfast was super simple and the juice was bad two days in a row. The resturant closes at 6pm so no dinner possible. And the Wifi is a only working sometimes and very poorly. The hotel is in good location next to the bund. Pretty modern design. we checked in early and we found that there is a strong drainage smell. And we informed the staff and they told us that all rooms are full and promised to deal with the situation (it was around 1pm). however, the problem is not solved until we came back to hotel at around 9pm. We were quite upset about it and the staff promised to arrange another room for us. Meanwhile, my parents room found a bunch of dust on the floor. The cleaning definitely need some improvement. The first night was a nightmare for us living in a super smelly room, we can smell it even we close the toilet door(in fact the door can’t close properly) I can see the staffs are trying to help, but there is nothing they can do though. On the next day, they arranged another room for us, which is much better. We appreciated it. Other than that, the hotel is a not bad choice if you go to shanghai but do not expect too much. The breakfast is quite good with basic choices like eggs, potatoes, salad, fried rice, cereal, congee, fried noodles and drinks. Reasonable price with good location just walking distance to the bund and yu garden. Thank you for chosing 8 ART HOTEL, and welcome you come again. Can only access the WiFi in the room. Once leaving the room where is not close to the room, the WiFi drops. The hotel public WiFi needs a China mobile number to get the password. How a tourist to use a real ID (by China law, it needs a real name to register a mobile SIM card except data-only card which is without mobile number.) to get a mobile number?? sorry for the inconvenience, we provide seceral wifi links, "canvas"or"canvas01" is not required China mobile number to get the password. Very reasonable price and very good location. The room was little bit small but it's OK. Only one very big problem is that could not use WIFI in the room because I was not have China local cell phone number. Just a block away from The Bund and Nanjing Road, the best thing about this hotel is the location. The room was spacious enough with a comfortable bed but there was mould in the bathroom and somebody else's hair. The staff try to help but, in my experience, had limited English. The rooms mostly open onto a central space so the potential for noisy nights was significant. Still, the decor is funky and it is modern and appealing to young western tastes. Good for a short stopover. Overall great location, you get the best view to the greatest skyline just across the road. When I couldn't sleep at night I'd just walked across the road (3min walk) just to stare at the nice view across Lujiazhui. Yu Garden is just 10min walk away. However, most shops are closed around 6pm and there's not much choice if you're looking for dinner around the hotel. Also, great ambient and environment, room and public areas feel very artistic and inspiring. Downside is, almost all rooms only have windows facing corridors which means no actual window to outside so you don't get any city view. Rooms are so tiny you have no space to walk around. My shower head was broken and water pressure was low throughout my stay. I also witnessed 2 tourists from different countries arriving at midnight, only to be told by front desk they didn't receive their bookings (they mentioned booking through online by I didn't hear which website).. makes me kinda worry if the same would happen to me. Wifi was really bad but best place to go to Waitan. Wifi we provide serveral user name to use, so sorry for the bad impression. We will continue to make efforts to rectify the problems you mentioned, Thank you. excellent location, walking distance to tourist spot and breakfast provided. Nice place. Rooms are comfortable. The hotel is very bad. Agoda claimed this is a big discount? Come on. You dare to say the original price is HKD 1900 but last minute discounted to HKD 500. Come on The room assigned to me is less than 10 sq m. It left me no choice but paid additional RMB 100 per night to upgrade. Right next to the Bund waterfront, 10 min to Yu Gardens and subway. Nice restaurants modern and local around. Frienly staff. However it is an older building.